Select the best for your business needs, customize in next step. This month we have discounted dedicated server at 75% discount on first month. * Customizable at next step. Keeping in mind the varying needs of different customers, we offer hosting packages for individuals and businesses that can be further configured to match the individual preferences. Whether looking for internal business hosting, reseller hosting or website hosting for Windows or Linux, Go Clouded Dedicated Servers is the right destination to get your needs entertained. While playing the role of the best hosting server company for our happy and satisfied customers, we focus greatly on the security of their servers. We complement the same with our round-the-clock support to deal with the hassles that our clients face. Hosted at our dedicated server sweden datacenter. Apart from providing uninterrupted speed and uptime, we have managed to score high by creating the perfect balance between performance and prices. We guarantee no hidden fees and no extra payments. You just have to select the right package and enjoy all promised benefits at a remarkable price matching your budget. All powered with renewable energy sources. 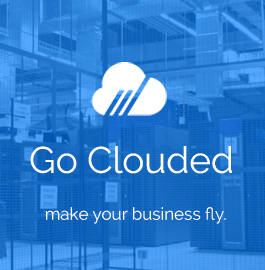 Go Clouded has spent 17 years in the hosting industry and we lend our experience and knowledge to devise and optimize reliable, flexible and robust hosting packages for our customers. We have earned the designations of the best hosting company among our extended base of 1000+ customers. Unlike the traditional shared hosting, dedicated servers will give you the capability to go far beyond the resource limitations. We run hp dedicated server hosting. 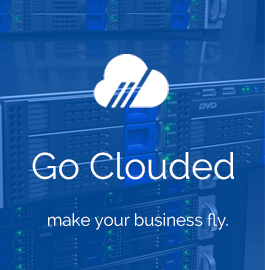 Go Clouded have a wide selection of servers that deliver robust performance, reliability, and security, with a level of access and control not available from any other provider all located at our dedicated server europe datacenter. 24/7 365yr Suppor Over 17yrs hosting experience. We strive towards customer satisfaction and excellence. A dedicated server hosting service or a dedicated server is a type of Internet hosting in which you lease an entire server which is not shared with anyone. 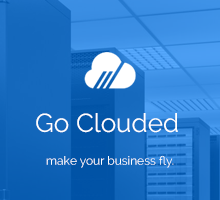 GoClouded offers dedicated server hosting in which your organization gets full control over the server(s). It is administered by you but GoClouded provides support 24x7. GoClouded offers special dedicated server Sweden as we are based in Malmö. Give us a call or write to us for more details on dedicated server Europe.